My recent tasting with Piero Mastroberardino was a once in a lifetime experience, and not just for me. This was the largest comprehensive vertical the estate had ever staged of their wines. The tasting covered 29 wines (the 30th was corked!) spanning an unbelievable eight decades, going back to the inaugural 1928. 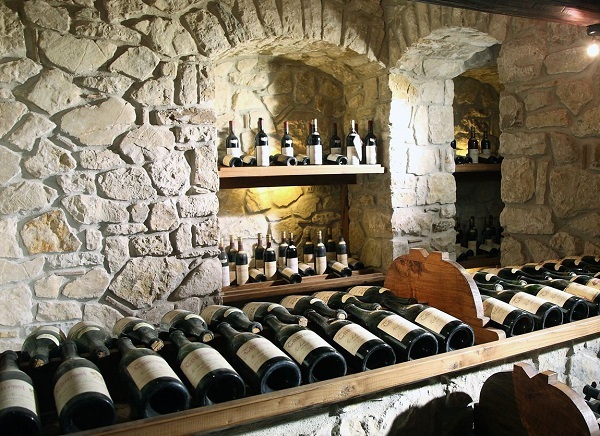 All of the wines were brought over from the estate’s cellars, which guaranteed perfect provenance. None of the bottles had ever been reconditioned or recorked. The bottles were opened a few hours prior to serving. Mastroberardino is the royal family of Campania. The estate’s Taurasi, first produced in 1928, is a legendary wine that can rival the best from any region. The Taurasis from the 1960s, 1970s and 1980s, all made in a staunchly traditional style, remain benchmarks for the entire region. After a period of inconsistent results in the 1990s Mastroberardino seems to have found its way again with a largely traditional approach to winemaking. 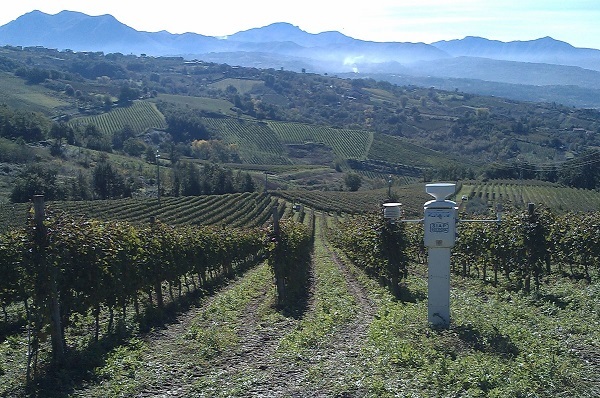 Although many of today’s leading producers in Campania have chosen to pursue a more modern approach, there is little question that Mastroberardino paved the way for all important wines in Campania. Today Mastroberardino releases as many as three separate Taurasis in any given vintage. 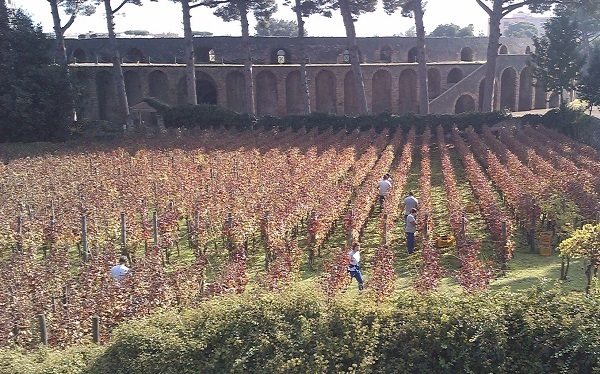 The regular Taurasi Radici is made predominantly from vineyards in Mirabella Eclano, but occasionally incorporates fruit from Montemarano as well, while the Radici Riserva is produced from vineyards in Montemarano. Both Radici Taurasis are aged in a combination of French oak barrels and larger Slavonian oak casks. The term Radici refers to the family’s long-running research into clonal selection, rootstocks, site selection and a host of other variables rather than identifying a single vineyard. The Taurasi Naturalis Historia comes from vines in Mirabella Eclano but is made with a more modern view of oenology and is aged exclusively in French oak. The 2006 Taurasi Radici offers up red berries, flowers and spices in a pretty, open expression of Taurasi. There is a lovely roundness that develops in the glass, leading to a long, caressing finish. Despite the challenging vintage, this is a very classy, pure and vibrant Taurasi that should develop nicely along the lines of the estate’s other mid-weight vintages. It will be approachable fairly early, but readers seeking a fully developed wine will need to wait at least a decade. 93/Drinking window: 2016-2036. The 2005 Taurasi Radici has developed beautifully since I last tasted it a few months ago. There is more fruit, power and sheer structure than I had previously found. The fruit remains youthful and primary, while the tannins and overall balance suggest the 2005 will be a long-lived vintage. Hints of red berries, dried flowers and spices linger on the sublime finish. 93+/Drinking window: 2015-2035. The 2004 Taurasi Radici Riserva bursts from the glass in an explosive display of sheer class that is utterly captivating. Everything here is simply glorious, from the vivid, textured fruit, expressive bouquet and expansive, yet beautifully ripe tannins. This is a broad-shouldered Taurasi blessed with tons of fruit and rich inner perfume that covers every inch of the palate. A heady mélange of minerals, smoke, tobacco and ash inform the exceptional finish. The 2004 Riserva will be released in the fall of 2010. Needless to say, it is highly recommended. 95+/Drinking window: 2019- 2044. The 2003 Taurasi Radici Riserva is a fascinating wine. Initially rather firm, the 2003 softens up beautifully with some time in the glass. To be sure, the incisive 2003 tannins never completely melt away, but there is more than enough fruit to provide balance. This is a fairly dark, brooding Radici Riserva endowed with tons of depth and an imposing personality. Still vibrant and youthful, the 2003 should find its balance and elegance with further bottle age. 94/Drinking window: 2015-2033. The 2001 Taurasi Radici Riserva has begun to show the faintest signs of aromatic complexity in its cocoa, baking spices, leather and black pepper. The 2001 is a deep, powerful Radici Riserva that completely saturates the palate with ripe, dense fruit. The tannins aren’t shy either, but they are beautifully balanced in this large-scaled Riserva. The intensity of the fruit carries through to the long, satisfying finish. The warm, dry summer has given the 2001 wonderful richness without abandoning what is a very classic style of Taurasi similar to the 2004, but with perhaps just a touch less finesse. 95/Drinking window: 2016-2041. The estate’s 2000 Taurasi Radici Riserva is another wine that melds together elements of ripeness and classicism, although here, unlike the 2001, the balance tilts towards opulence. The 2000 Riserva is a big, rich Taurasi endowed with generous fruit, round tannins and phenomenal length. Stylistically, the 2000 is more elegant than the 2003. Red berries, minerals, flowers and licorice come together beautifully in the glass as the 2000 reveals its expressive personality. This should be a fairly accessible Taurasi in another few years. Today it is strikingly beautiful. The 2000 is the first vintage in which Mastroberardino lengthened maceration times back to 20 days or so, which clearly shows in its superior structure and pure pedigree. 94/Drinking window: 2015-2040. The 1999 Taurasi Radici Riserva comes across as surprisingly simple. In 1999 the maceration time was only 15 days and the wine seems to lack the depth and concentration of the best years. Ash, game, spices and dark fruit come together nicely in this accessible, understated Taurasi Radici Riserva. Today, the 1999 looks to be a relatively early drinking vintage. 92/Drinking window: 2010-2025. Like the 1999, the estate’s 1998 Taurasi Radici Riserva is a straightforward offering. The French oak seems to come through a touch more than in other surrounding vintages, suggesting 1998 yielded fruit with less structure and depth to play off the oak. Despite the wine’s freshness, early signs of oxidation have begun to creep in. The supple, forward 1998 is an excellent choice for near-term drinking. 91/Drinking window: 2010-2020. Tobacco, smoke and ash are some of the notes that appear to round out the rich fruit in the 1997 Taurasi Radici Riserva. The vintage produced a fat, full-bodied Taurasi loaded with fruit. The tannins retain elements of roughness, which is just about the only thing that keeps the score from going higher here. This is an impressive showing from a wine that could merit a higher score down the road. 93/Drinking window: 2012-2027. I am floored by the 1996 Taurasi Radici. It is simply breathtaking. Fine, silky tannins buttress dried roses, spices and red berries, all of which meld together in a wine of understated elegance. Taurasi is often referred to as the ‘Barolo of the South’ and this is a wine that captures the essence of that comparison to the fullest. Gorgeous inner perfume develops in the glass over time, inviting a second and then a third taste. This is a thrilling yet delicate wine of the highest level. 94/Drinking window: 2010-2031. There is quite a bit of depth and darkness to the 1994 Taurasi Radici. Tar, leather, tobacco, black pepper and plums flow from this earthy, baritone Taurasi. The round, harmonious finish balances things out nicely on the close. 93/Drinking window: 2010-2029. Readers seeking a mostly mature Taurasi will delight in the 1993 Taurasi Radici. This is a wonderfully nuanced Taurasi laced with notes of anise, herbs, chocolate, leather and licorice that add complexity to the fruit. Soft and supple throughout, the 1993 should offer fine drinking now and over the next 15 or so years, give or take. 92/Drinking window: 2010-2025. The 1992 Taurasi Radici is impressive mostly because it remains so intact, despite conditions that were far less than ideal that year. This small- scaled, soft Taurasi reveals a gorgeous sense of proportion in an accessible style. The wine continues to grow in the glass as it acquires better and better balance over time. To say the 1992 is a revelation is a huge understatement. 92/Drinking window: 2010-2020. The 1991 Taurasi Radici comes across as a touch rustic, with less fruit than the 1992 and a lithe, somewhat stern personality. Scents of earthiness, game and licorice convey an impression of classicism and perhaps barrels that could have been changed a bit sooner. At the same time, the firm, unyielding style suggests the 1991 may not be ready yet. When it might be is anybody’s guess. 90/Drinking window: 2010-2025. The 1990 Taurasi Radici is a soft, mid-weight offering graced with wild cherries, plums, tobacco and leather, all of which come together on a refined, supple frame. This shows lovely overall balance. That said, I expected more from such a celebrated vintage. Based on this bottle, it is hard to imagine the 1990 being one of the more-long lived wines the estate has made. 92/Drinking window: 2010-2025. The 1988 Taurasi Radici, tasted from magnum, is simply fantastic. It is everything one could hope for in a Taurasi and so much more, to tell the truth. Still remarkably vibrant, the 1988 offers up roses, mint and dark red cherries, showing incredible vibrancy, power and depth. There is a level of clarity and delineation that elevates the 1988 to its exalted position as one of the finest wines to emerge from these cellars. Simply put, this is a breathtaking Taurasi from Mastroberardino. 95/Drinking window: 2010-2030. The 1987 Taurasi Radici is another impressive wine from the decade of the 1980s. It, too, remains remarkably fresh with layers of red berries, leather, licorice, flowers and spices that meld together beautifully in a harmonious expression of Aglianico. The finish is long and impeccable. The 1987 isn’t as explosive as the 1988, but it is very nearly just as complete. 94/Drinking window: 2010-2030. The 1985 Taurasi, along with the 1983, is one of the more forward wines in this tasting. Stylistically, it also seems to favor the more rustic side of Aglianico, as tertiary notes run through the dark fruit, plum, leather, tobacco, incense and soy. The 1985 is an excellent choice for near-term drinking, as further upside potential seems exhausted at this point. 90/Drinking window: 2010-2015. The estate’s 1983 Taurasi is soft and fully evolved. Truffles, leather, licorice, earthiness and dark fruit are some of the scents that emerge from this fully mature, tertiary Taurasi. The 1983 retains surprising richness, but ultimately the wilder side of Aglianico dominates the balance. 90/Drinking window: 2010-2013. The 1982 Taurasi Riserva is another of the utterly magical wines in this lineup. A totally transcendental, hypnotizing wine, the 1982 possesses incredible vibrancy, power and length, with endless layers of mint, dried roses, red fruits and licorice that come together on an impeccably refined frame. The wine’s inner perfume and mineral-driven personality vie for my attention all the way through to the sublime finish. This immortal, towering masterpiece is one of the greatest wines made in Italy over the last 50 years. In a perfect world, I would love to taste this next to the 1982 Barolos of Giacomo Conterno and Bruno Giacosa, and the Brunellos of Gianfranco Soldera and Livio Sassetti. What a tasting that would be! 97/Drinking window: 2010-2040. The 1980 Taurasi Riserva bears the challenge of following the profound 1982, but it proves more than capable of the task. The 1980 is built on a core of rich, dense fruit that impresses for its depth and staying power. The firm Aglianico tannins are present, but they are totally buried by the sheer lushness of the fruit. This is one of the most famous wines in the estate’s history as a devastating earthquake struck the region in November of that year, while macerations were still under way, damaging many cellars, including those of Mastroberardino. Now, thirty years later, I think it is pretty safe to say the wine has turned out better than anyone might have reasonably expected. 94/Drinking window: 2010-2030. The 1977 Taurasi Riserva has aged spectacularly well. Bright red fruits, flowers and licorice flow effortlessly from this mid-weight Riserva. The earliest signs of tertiary development begin to show with some time in the glass. The 1977 comes across as a smaller-scaled version of the 1968, with a round, harmonious finish that leaves a lasting impression. Once again I am floored by the integrity and purity of the estate’s finest vintages. 92/Drinking window: 2010-2030. The 1973 Taurasi is a touch more advanced than the 1977 Riserva, but also offers a measure of additional textural depth. Mint, spices, dried fruits and all sorts of balsamic nuances meld together in this fairly round, soft Taurasi. The 1973 is in a beautiful place today. Seemingly timeless, it combines elements of maturity while retaining significant freshness and fabulous overall balance. Hints of cocoa, leather and licorice linger on the finish. The 1973 isn’t one of the most complex wines in this line-up, but it is one of the most pleasurable. 92/Drinking window: 2010-2015. Mastroberardino’s 1968 Taurasis are legendary. That year the estate released three single-zone Taurasi Riservas from vineyards in Montemarano, Pian d’Angelo and Castelfranci in addition to their regular and Riserva bottlings. To be clear, these aren’t single-vineyard Taurasis, rather Montemarano, Pian d’Angelo and Castelfranci are best described as zones. Oddly, despite the huge success of their 1968s, Mastroberardino never made the single-zone Taurasis again. While I have tasted the single-zone Taurasis in the past, they weren’t part of this retrospective. The 1968 Taurasi Riserva is simply magnificent. Marvelously dense and ethereal, this classy, breathtaking Taurasi offers up a mélange of plums, prunes, licorice, herbs, spices and minerals, showing incredible detail and tons of inner perfume. Amazingly, the 1968 comes across is incredibly youthful and vigorous. Today, it looks to be developing along the lines of the 1958, another fabulous vintage here. The finish retains very attractive elements of classicism and sheer tannic clout. The 1968 Riserva can be enjoyed today, but ideally it is best opened several hours prior to being served. In 1968 the Riserva was made from a blend of vineyards in Montemarano, Pian d’Angelo and Castelfranci, three of the most renowned spots for Aglianico. 97/Drinking window: 2010-2030. The 1961 Taurasi Riserva is another of the wines in this lineup with incredible density for its age. This is a rounder style of Taurasi with more fruit and less bouquet than the 1968. The powerful, virile style of Aglianico is on full display as suggestions of dark fruit, leather, licorice, tobacco and a host of balsamic nuances take shape in the glass. There is a touch of volatile acidity that might disturb some palates, but in the end, the 1961’s virtues far outweigh its flaws. 95/Drinking window: 2010-2025. The 1958 Taurasi is a blockbuster. Utterly mind-blowing in its depth and purity, the 1958 stakes its claim as one of the greatest wines ever made in Italy. Dark fruit, licorice, leather and menthol dance on the palate, leading to an intense, powerful wine. At this stage it appears quite likely that the 1958 will reach its 100th birthday. Today it is nothing short of breathtaking. Hints of dark fruits, menthol, leather and licorice add complexity to the finish. 97/Drinking window: 2010-2030. I am blown away by the sheer richness and density of the 1952 Taurasi. There is a unusual level of ripeness to the fruit and a correspondingly high level of alcohol for the era. At first somewhat volatile, the wine calms down quite a bit in the glass. To be sure, some rough edges remain, and this is a somewhat controversial wine, but it is one loaded with personality, not to mention it comes across as ten plus years younger than it is! At times the 1952 reminds me of a mature Châteauneuf-du-Pape from Rayas. This is a fascinating wine to follow in the glass, I am only sorry I didn’t have more time to spend with it. 94/Drinking window: 2010-2020. The 1934 Taurasi is a deeply pitched, intense wine that boasts incredible richness considering its 76 years of age. Dried prunes, leather, tobacco, licorice and spices are woven together in this fully resolved Taurasi. Even though the 1934 is full of tertiary aromas and flavors it also retains just enough freshness to keep things interesting. Sweet scents of pipe tobacco linger on the harmonious finish. This is an unbelievable bottle. 92/Drinking window: 2010-2020. It’s difficult to find words to describe the 1928 Taurasi. Where should I start? The color, a translucent red, is wonderfully intact. But that is just the beginning. The wine flows onto the palate with an extraordinary range of dried roses, berries, licorice and leather, all of which come together in stunning style. There is incredible brightness and purity throughout, while the finish shows remarkable grip. The 1928 Taurasi will live to see its 100th birthday, making it a nearly immortal wine of monumental standing. Readers lucky enough to have tasted this gem know exactly what I mean. 95/Drinking window: 2010-2030.